The term "northshore" stands for the north shore of Massachusetts. 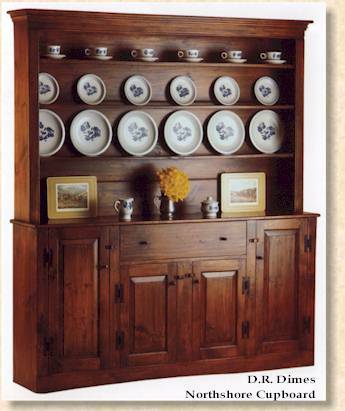 The design of simple pine cupboards from this region in the late 18th century achieved a relatively high level of refinement. Their loveliness is matched only by their utility. We can hardly imagine a piece that would be a better symbol of the early New England cabinetmaker.